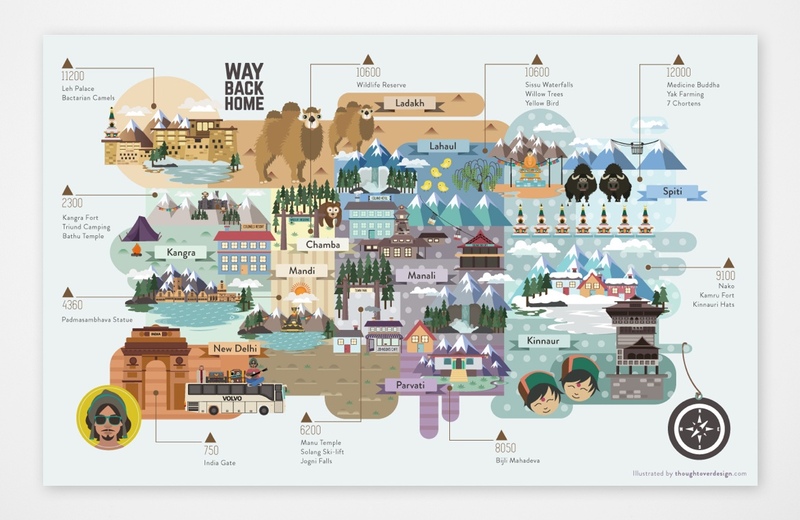 Have a look at visual vignettes of a few projects we’ve loved working on. For other more detailed projects, don’t miss our case studies. 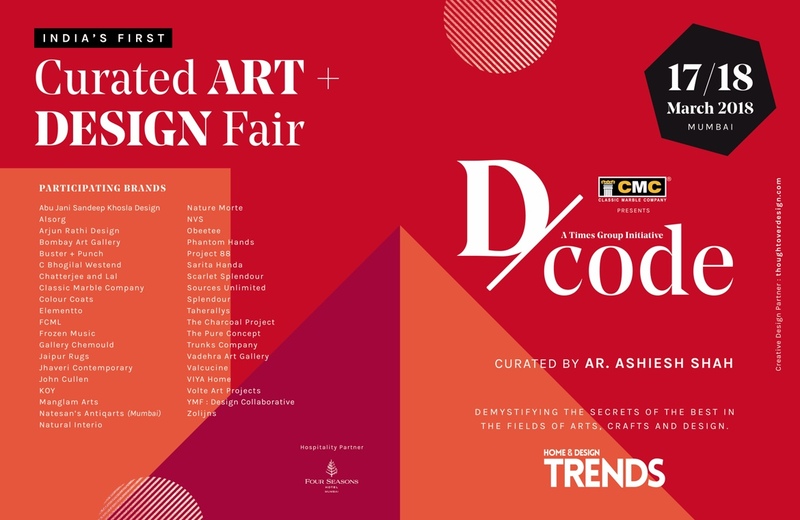 We're the official creative partners for this highly curated interior design event by Times of India, Home & Design Trends, and Ashiesh Shah. We're taking the lead on all things brand, print, outdoor and spacial to integrate the look of the event into something that meets international standards. We worked with Foodhall in 2015 to bring this fantastic offline retail experience to the online space. We collaborated with top management to conceptualise their online ecommerce platforms for web and mobile. 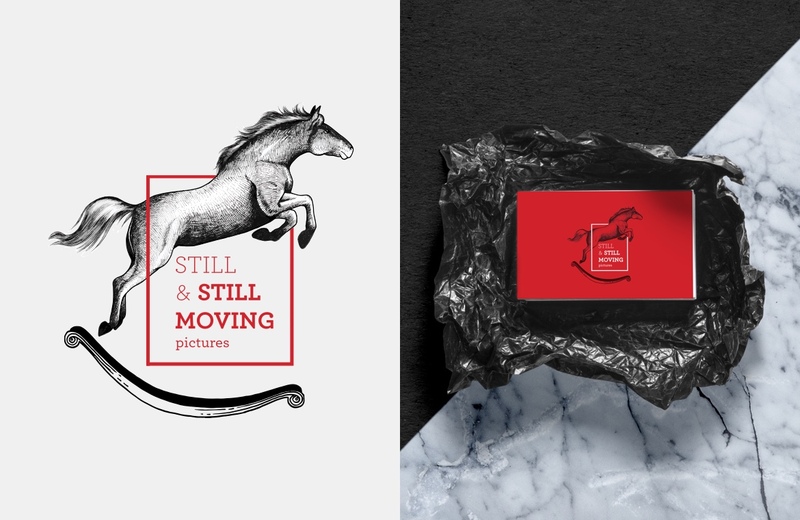 Still & Still Moving Pictures is a newly launched production house that makes the most heart warming films for clients like Amul. They asked us to take a non-conventional route to branding their venture. The founders named their company after an excerpt from a T.S. Elliot poem they were inspired by. We were absolutely thrilled about this project and worked on the branding with no limitations in terms of medium or strategy. This was a dream brief from some very sweet clients. We worked with Aasaanjobs on building an all-new product for their portfolio. 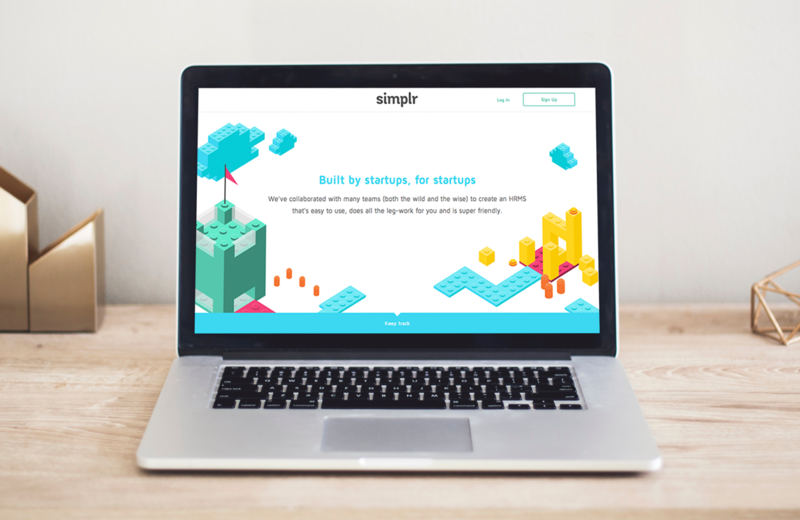 Simplr is an Human Resources Management Systems tool for startups by startups. We helped name, brand and design the UX / UI for web and mobile apps for this proposed tool. 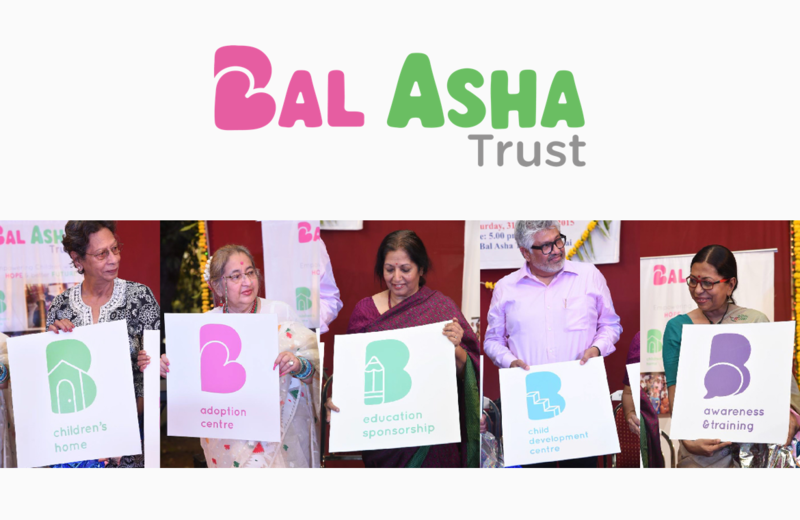 Bal Asha is an adoption centre that has been successfully placing children in happy homes, or helping them live better lives in their own homes, since 1985. We redesigned their logo to represent the happiness and joy they bring to so many through their hard work. The new logo radiates the innocence and brilliance of all the children we met at their centre! We were pleasantly surprised to work with such open trustees and management, led by Mr. Sunil Arora, who were excited about doing something fresh with their logo and identity. Viren Bhagat is one of the most celebrated jewelers in both India and the world. The iconic red door to his appointment-only store located in South Mumbai evokes all the chic elegance his brand is steeped in. 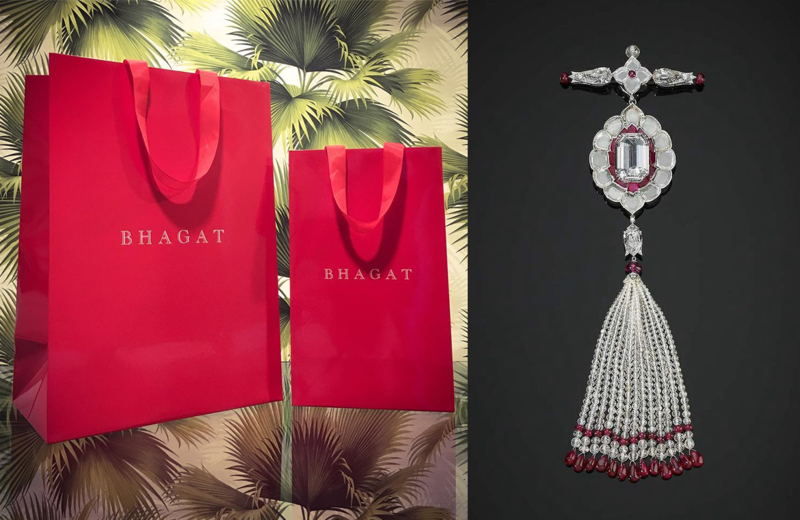 We worked with the 'BHAGAT' team to craft packaging that epitomises this; packaging that was subtle, iconic and sized to fit the various types of statement pieces they deliver to their extremely niche set of clients. 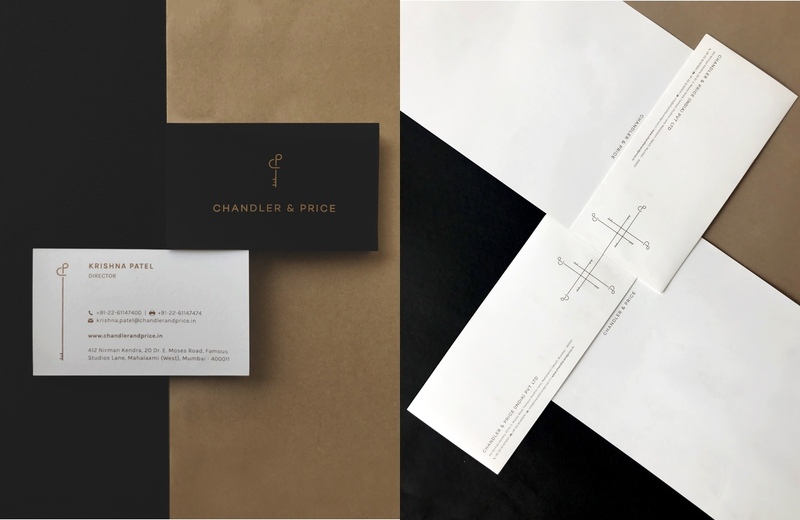 Chandler & Price is a luxury real estate sister-brand of Nesco, India. Created from pure passion, C&P will create projects under it that reflect luxury, uniqueness and class. We worked with the directors, Krishna & Megha Patel, to rebrand the company to make it future ready, yet steeped in a classic look and feel. 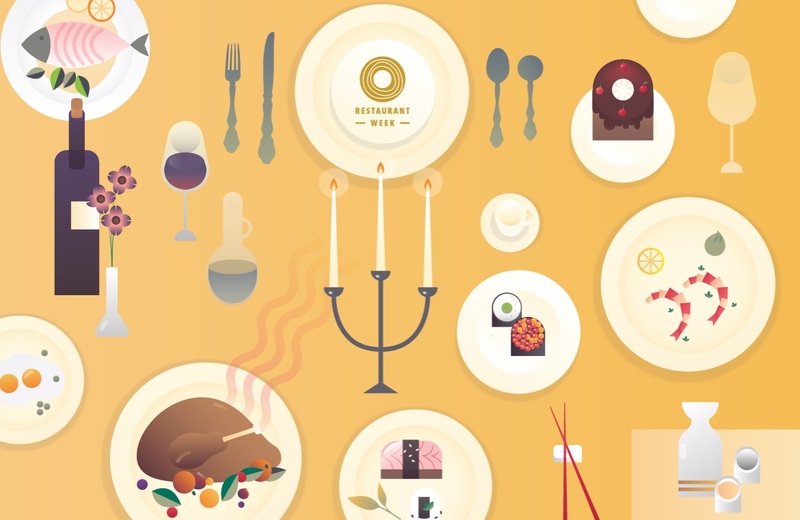 To reveal its new logo and brand, we worked with the Restaurant Week India to craft a complimentary illustration style that they could use for invites, emailers and restaurant collaterals. 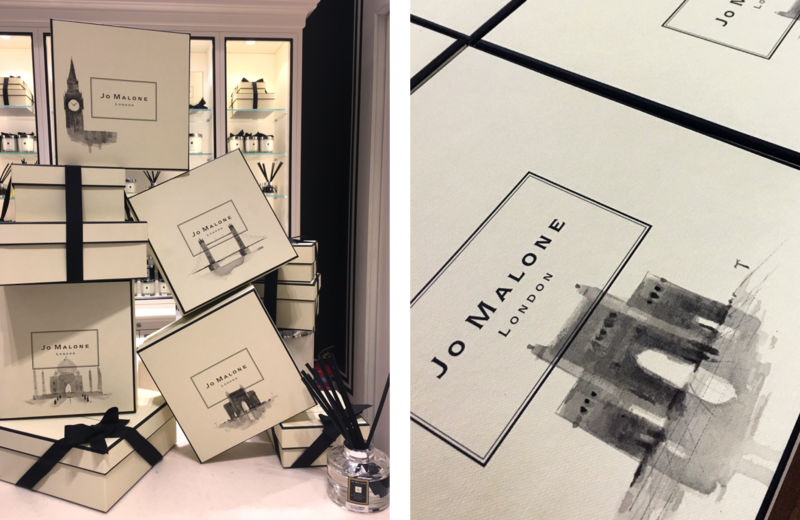 Jo Malone, one of Estee Lauders' most celebrated brands, launched its flagship store in Mumbai at the Palladium Mall. 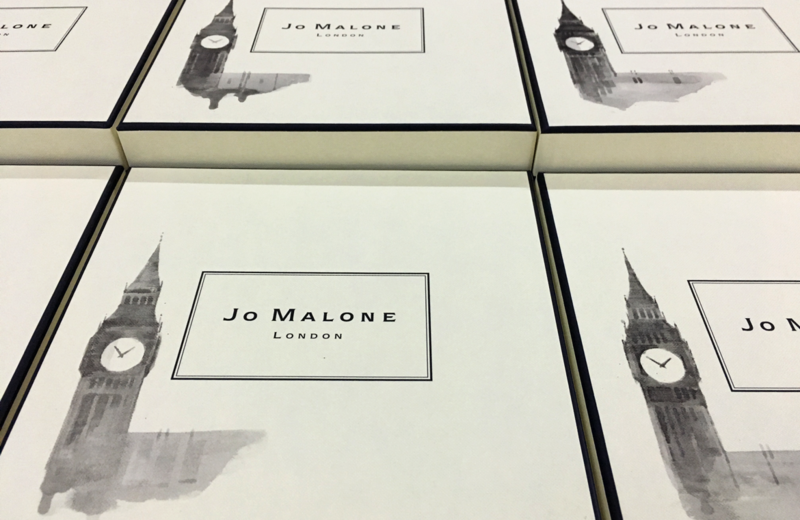 We worked with them to craft 300 hand-painted, custom designed gift boxes that were live painted at the store. In sync with their global mandates, we even introduced two Indian iconic structures to celebrate their first opening in India. 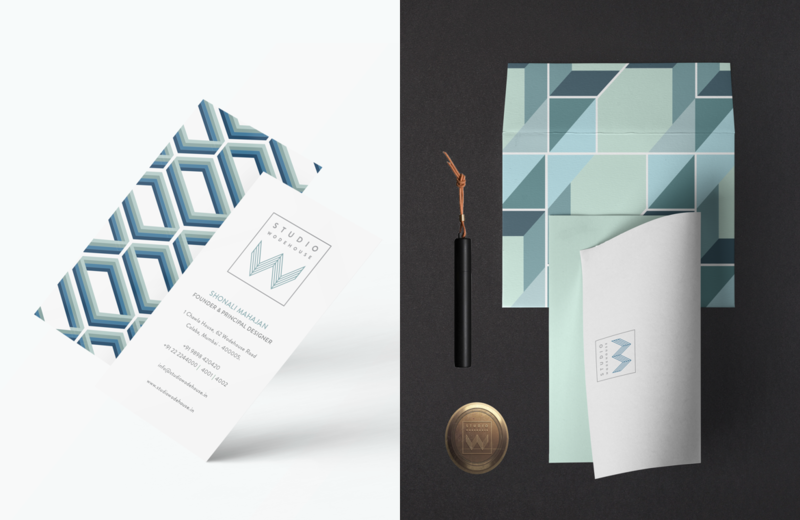 Studio Wodehouse is an interior design company based out of Mumbai. Drawing inspiration from its founder, the eclectic and creative Shonali Mahajan, we decided to create a classic look and feel for the brand based on the aesthetic of the spaces she associates with most. Big Tree Hospitality is a sustainable set of tree-villas started by Lacadives in the Chidyatapu, Andaman Islands. 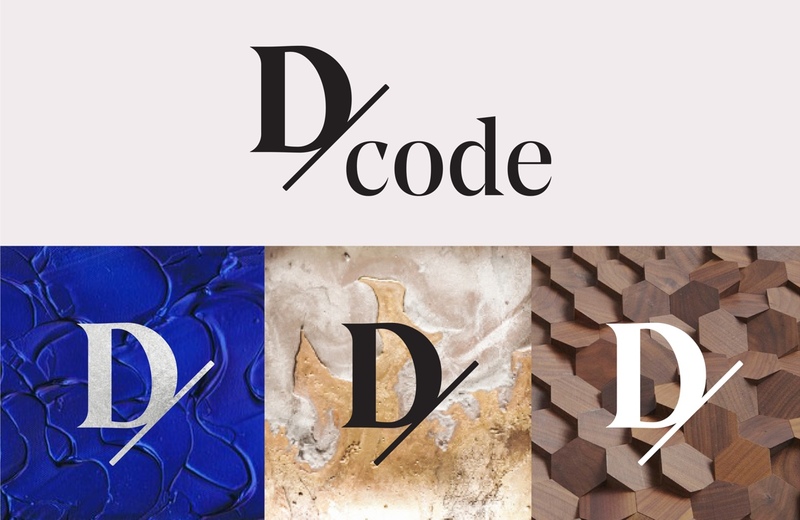 We worked with Sumer Verma (check out his amazing instagram account on @luminousdeep to understand his vision for the brand and its connection to the one tree that defines the landscape) to create a raw identity for the brand that also had an international appeal. Anushka, our founder, has spent a lot of time in the Andaman Islands and Dive India is like a second home to her. We wanted to make sure the people that visited the website for the dive shop were able to sense the vibe and soul the place. 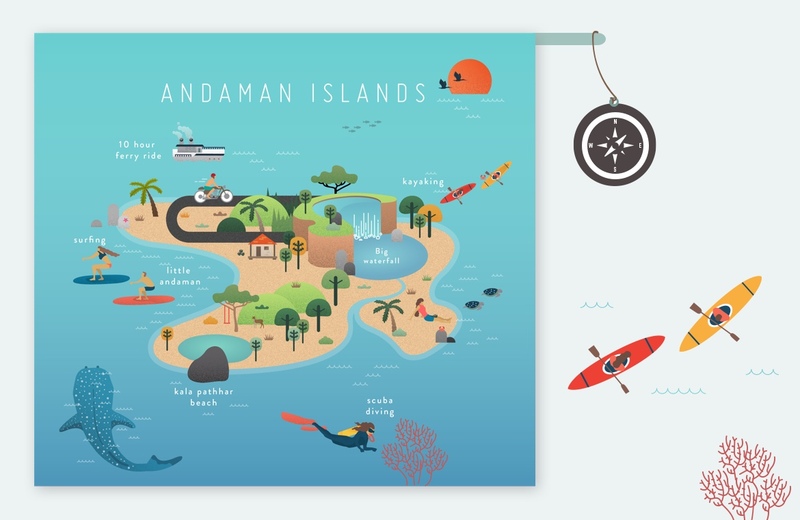 Together, with the management at Dive India, we collated images, clicked a few ourselves and put all the information in one place to create a site specifically for divers looking for information about the Andamans. Being a diver herself, Anushka was used to being flooded with calls every week from people seeking information on how to go about learning to dive. 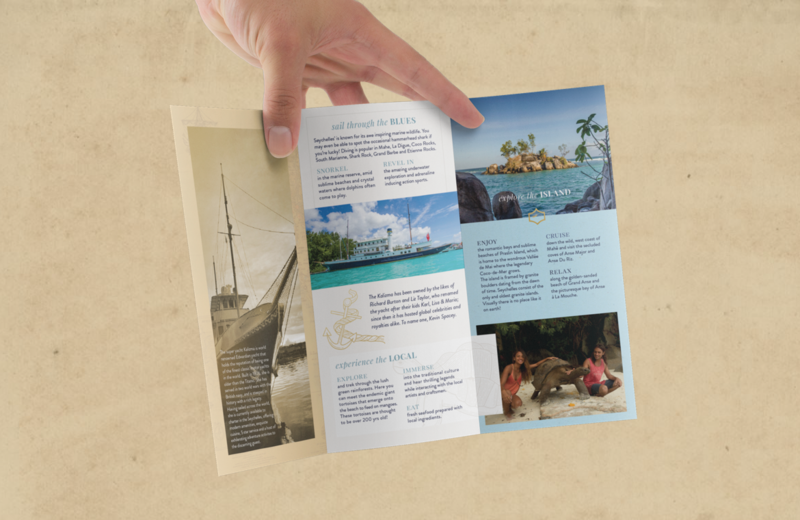 Given that the questions asked and the information needed were the same for almost every first-time diver, we designed the site to ensure no question was left unanswered and people were sure of the facts before they decided to take the plunge. This is one of our favourite projects because it was also one of our firsts. Enjoy! 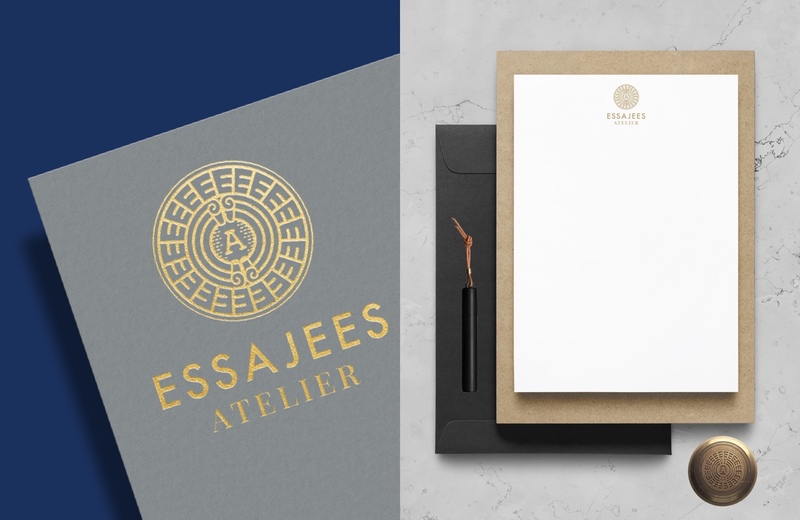 Essajees Atelier was founded by Sarah Sham in 2014. Essajees is a renowned luxury lifestyle brand in Mumbai specialising in home decor accessories like antique furniture, fine art, vintage items, showpieces and more. The parent brand was started in 1890 by Abdul Kadir Essajee who helped India’s royalty browse fine luxury items such as tapestries sourced from Iran. 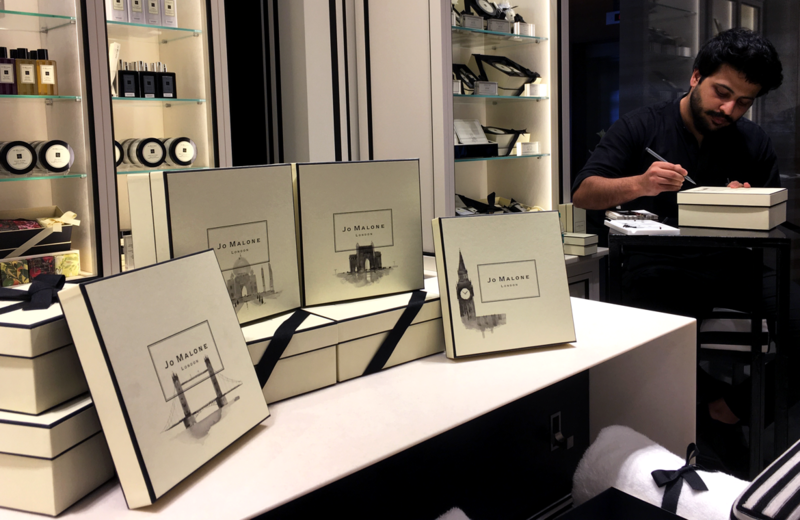 To match the royal heritage of the brand yet bring in a contemporary look for the Atelier, we designed a logo and identity for the brand. 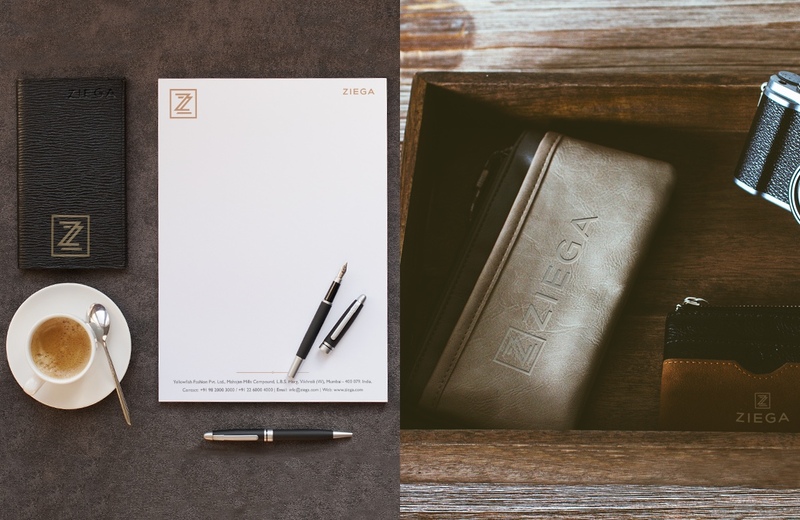 Ziega is a premium leather goods brand that was slated to launch in 2016 in Australia. They design and retail leather jackets and bags for the Australian market. Noesis Tech delivers technology solutions for business success to companies of all sizes, from startups to enterprises. 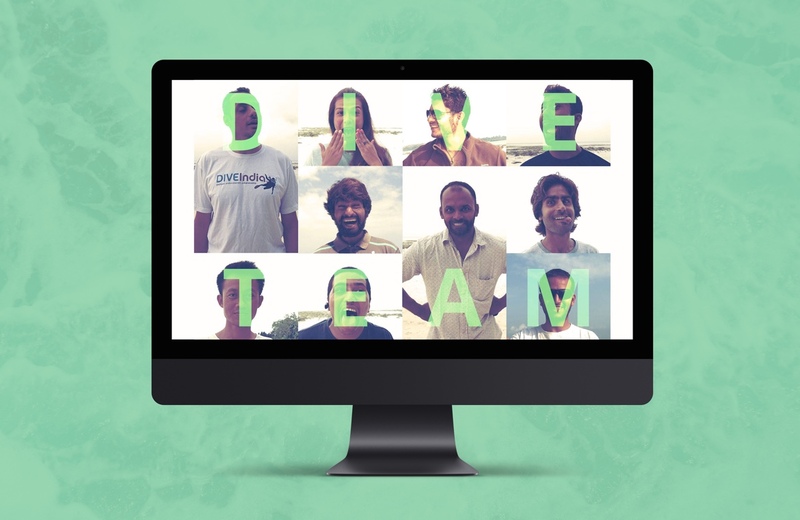 They are a team comprising of passionate developers, designers and project managers who conceptualise and build digital products and services. 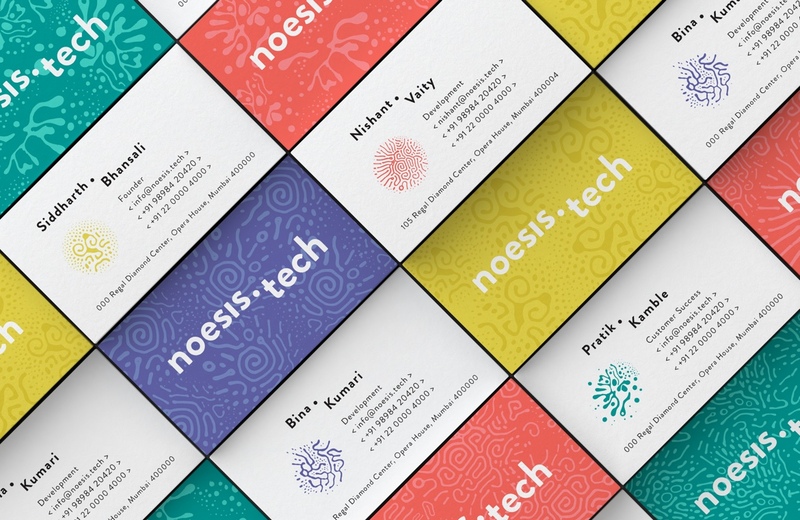 Being an enterprising team full of new ideas and energy, we felt that a dynamic identity would be the best way to represent the Noesis Tech brand. We were inspired by the typeface created by the fabulous kickstarter project - Ferrafluid Glyphs. 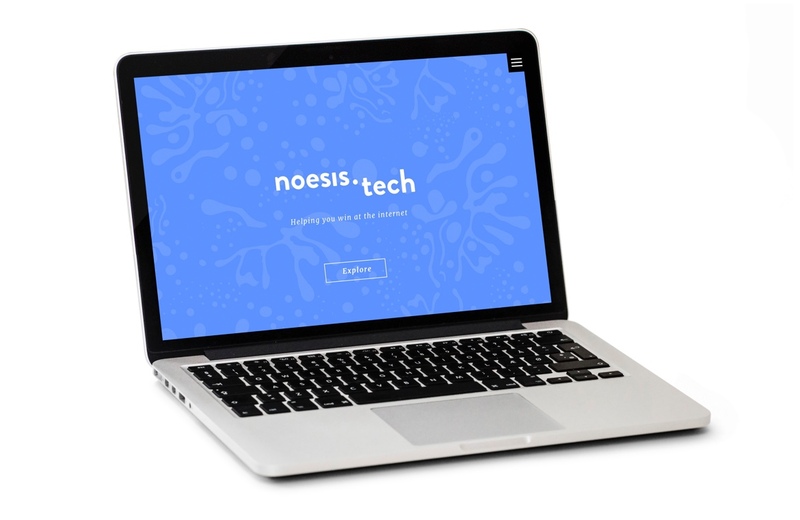 We used the typeface to design a brand identity for noesis.tech. 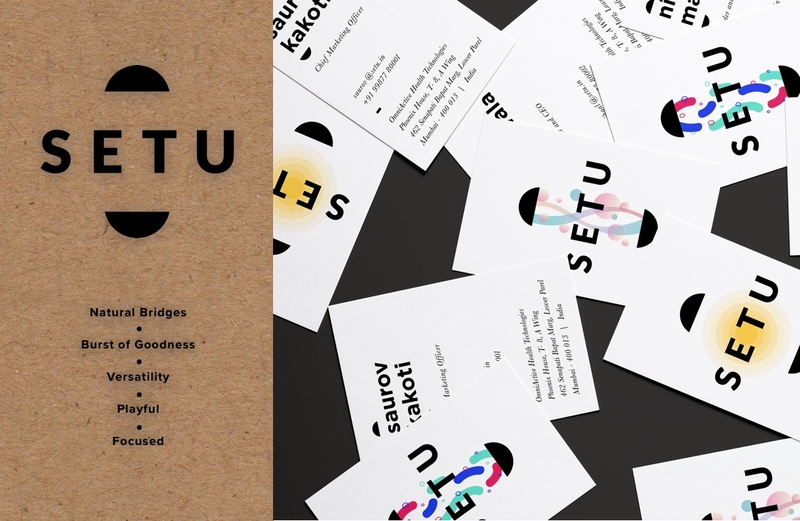 Setu was born out a long tradition of expertise in the natural ingredients space. The Mariwala family has long been a force in the food, beverage, agricultural commodities and plant-extract businesses. We worked with Nihaal Mariwala to create a logo and identity for the brand. 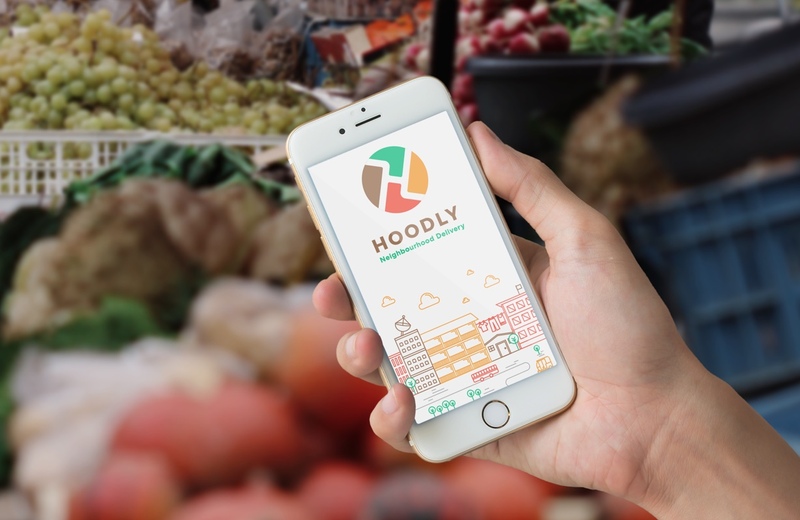 Hoodly connects your local kirana stores directly to you. The team is motivated to enable these little shops to stay relevant in the new age of ecommerce and new digital media. The idea was really simple: the logo represents every little neighbourhood and the fact that there is a kirana store in each one that sustains the homes and offices within it. Keeping the colours fresh and dynamic, we tried to stay away from a mono-colour identity that would probably do injustice to the colourful kirana stores all over India. 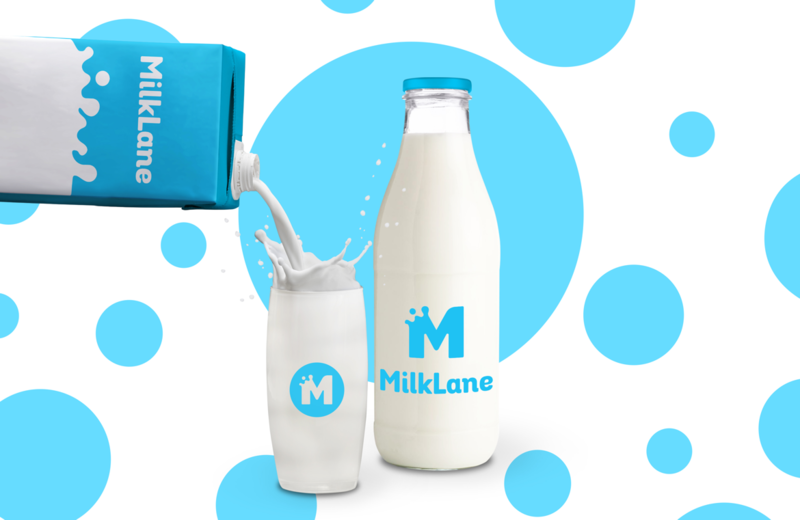 Milklane is an industrial supply platform for quality milk, connecting dairy farmers and industrial clients, and ensuring quality supply, consistency and CSR. We worked on a simple logo for the brand that is warm and wholesome, easy to remember, and simple to relate to. 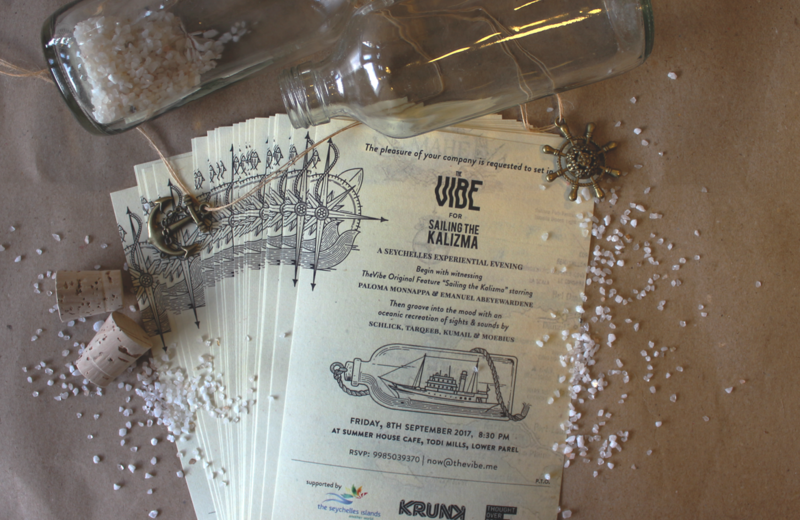 Our Founder is a creative contributor and strategic partner with The Vibe. We often collaborate with their team to create a look / feel for a new event or property that they're launching. 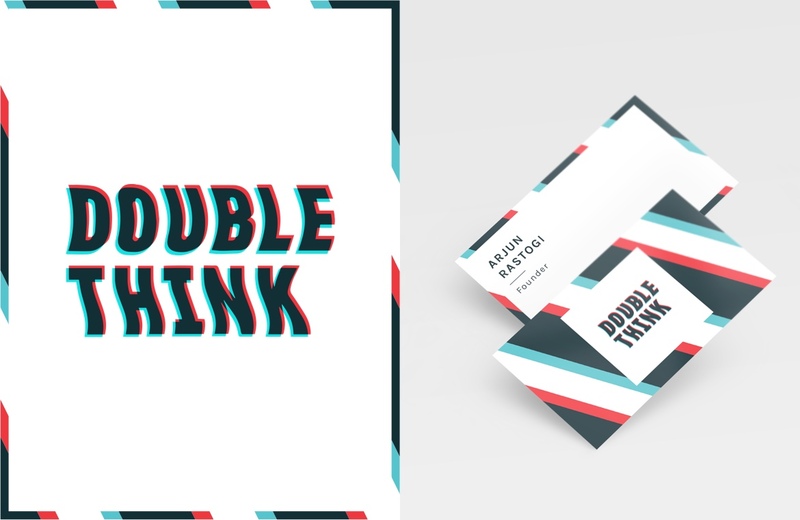 'Double Think' is a digital content creation startup. We designed their identity to be a visual take on the name, inspired by the color separation on 3D glasses. 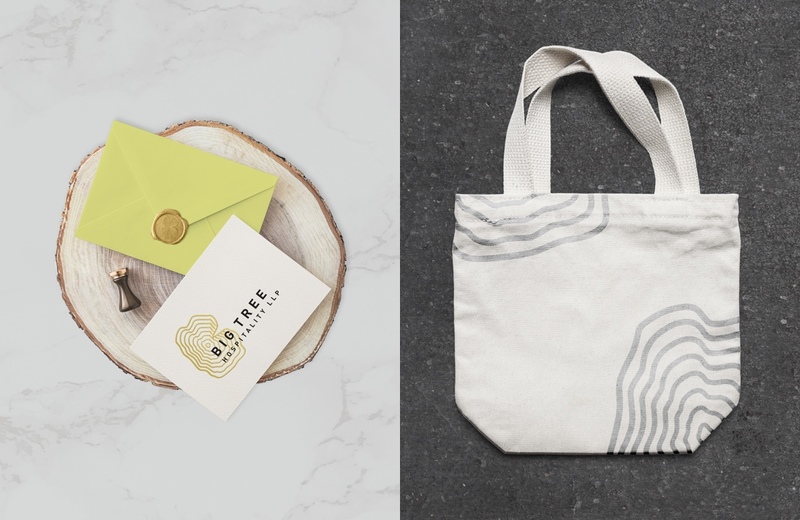 A fresh new identity for a home-chef who focused on making artisanal dips.